As I continue on this healthier eating journey I constantly find myself craving old favorites. My goal is always to figure out how to have them with only using alkaline ingredients. In the past I made numerous raw recipes so I have a solid base on using natural ingredients to develope recipes. Yesterday, I made my first bread pudding with seeded raisins. Seeded raisins are sweet, slightly bigger with a slight crunchiness to them, because of the 2-3 seeds that are in each raisin. 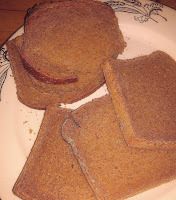 The subtle crunchiness didn't bother me but my husband wasn't exactly a fan of it. Seeded raisins have higher iron, protein plus other minerals/vitamins nutritional value simply because of the seeds. Also dates have a lower glycemic index than refined sugar which is better for our bodies. So keep in mind that this version won't be diabetic coma sugary sweet but a more subtle sweetness that I found surprisingly satisfied my sweet tooth. I also found that by drizzling date syrup on each serving it gave this bread pudding an extra sweetness...adjust the sweetness as you see fit. I'm constantly reconditioning my mind to focus on the nutritional value than what is deemed as "traditional" when it comes to foods or recipes. With that being said, you should always practice expectation management when developing your own or trying out healthier versions of your old favorites. Pre grease a pan with grapeseed oil. Blend 6-8 pitted medjool dates, 4 - 5 cups of walnut milk, and all spice together in a blender for 1-2 minutes on a high speed. 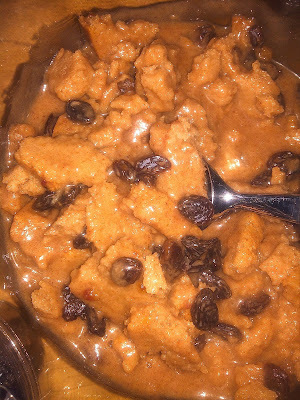 Pour the milk mixture over the bread and raisins, and let the mixture sit for 2 hours, stirring occasionally. Pour mixture into the prepared pan. Bake until the pudding is set in the center, about 35-45 minutes. Let cool for 5 minutes. 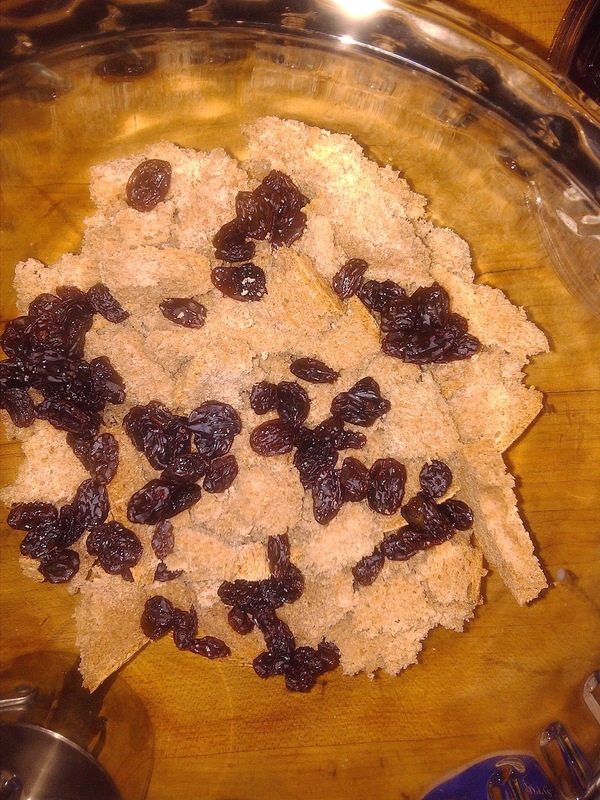 To serve, scoop the pudding into a bowl. Drizzle the date syrup over each serving.